Professor Philip N Bartlett is Professor of Electrochemistry within Chemistry at the University of Southampton. Philip N. Bartlett received his BA (Hons) in 1978 from the University of Oxford and his PhD in 1981 from Imperial College, University of London. He was a Royal Society for the Exhibition of 1851 Fellow at Imperial College from 1981 to 1983 and moved in 1984 to become a Lecturer in Physical Chemistry at the University of Warwick. 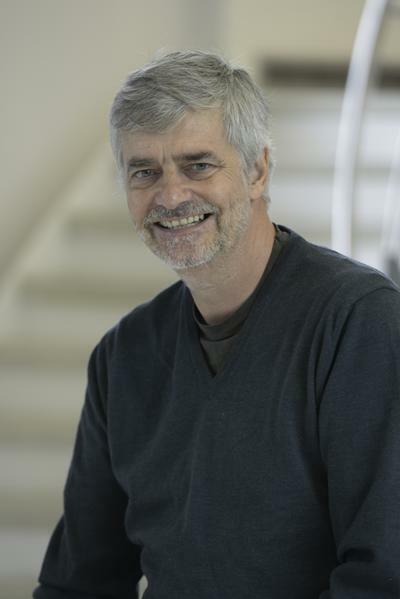 He moved from Warwick in 1991 to become Professor of Physical Chemistry at the University of Bath and then in 1992 to the University of Southampton as Professor of Electrochemistry. Phil is currently the Head of the Electrochemistry Section. Phil's research interests focus on the templated electrodeposition of nanostructured materials and on bioelectrochemistry. He is the author or co-author of over 320 refereed journal publications and author with J. W. Gardner of "Electronic Noses, Principles and Applications" (1999), editor of the English translation of "Semiconductor Photoelectrochemistry" by Pleskov and Gurevich (1986) and editor of "Bioelectrochemistry. Fundamentals and Applications" (2008) and an editor of the “Advances in Electrochemical Science and Engineering” series. Phil has won a number of awards for his research including the 1992 Tajima Prize from the International Society of Electrochemistry, 1994 Armstrong Lectureship of the Society of Chemical Industry, 2003 Geoffrey Barker Medal from the Royal Society of Chemistry, 2005 Electrodeposition Division Award from the Electrochemical Society, 2007 Carl Wagner Medal from the Electrochemical Society, 2007 Katsumi Niki Prize from the International Society of Electrochemistry, 2008 Electrochimica Acta Gold Medal of the International Society of Electrochemistry; 2009 Royal Society of Chemistry Tilden Lectureship, 2014 Alessandro Volta Medal of the Europe Section of the Electrochemical Society, 2015 Galvani Medal of the Electrochemistry Division of the Italian Chemical Society, 2016 Luis Federico Leloir Award from the Argentine Ministry for Science, and the 2017 Breyer Medal of the Electrochemistry Division of the Royal Australian Chemical Institute. He was a visiting Professor at University of Bourdeaux in 2001, 2007 J. Calvin Giddings Lecturer at the University of Utah, and he holds a Royal Society Wolfson Research Merit award. He is a Fellow of the Royal Society of Chemistry and was elected as a Fellow of the International Society of Electrochemistry in 2006 and as a Fellow of the Royal Society in 2012. Phil is President of the International Society of Electrochemistry and serves on the international editorial advisory boards several journals including Physical Chemistry Chemical Physics, ChemElectroChem, Russian Journal of Electrochemistry and the Journal of Electrochemistry. Electrochemistry, biosensors, chemical sensors, electropolymerised films, modification of electrode surfaces, bioelectrochemistry, SERS, nanostructured materials. Mahajan, S., Richardson, J., Gaied, N. B., Zhao, Z., Brown, T., & Bartlett, P. N. (2009). The use of an electroactive marker as a SERS label in an E-melting mutation discrimination assay. Electroanalysis, 21(20), 2190-2197. DOI: 10.1002/elan.200904681, 10.1002/elan.200904681). Teperik, T. V., Popov, V. V., García de Abajo, F. J., Kelf, T. A., Sugawara, Y., Baumberg, J. J., ... Bartlett, P. N. (2006). Mie plasmon enhanced diffraction of light from nanoporous metal surfaces. Optics Express, 14(25), 11964-11971. Teperik, T. V., Popov, V. V., García de Abajo, F. J., Abdelsalam, M., Bartlett, P. N., Kelf, T. A., ... Baumberg, J. J. (2006). Strong coupling of light to flat metals via a buried nanovoid lattice: the interplay of localized and free plasmons. Optics Express, 14(5), 1965-1972. Wang, Z., Zervas, M. N., Bartlett, P. N., & Wilkinson, J. S. (2015). Power budget analysis for waveguide enhanced Raman spectroscopy. Poster session presented at Optical Wave and Waveguide Theory and Numerical Modelling Workshop (OWTNM 2015), United Kingdom. Sugawara, Y., Kelf, T., Baumberg, J. J., Abdelsalam, M. E., Bartlett, P. N., Pelfrey, S. H., & Russell, A. E. (2005). Engineering localised plasmons on nanostructured metallic surfaces for surface-enhanced Raman spectroscopy. In Proceedings of 2005 Conference on Lasers & Electro-Optics (CLEO) (pp. 767-769). Massachusetts, US: Optical Society of America. Tai, C-Y., Unal, B., Wilkinson, J. S., Ghanem, M. A., & Bartlett, P. N. (2003). Self-assembled microsphere gratings on rib waveguides. Paper presented at ECIO 2003: European Conference on Integrated Optics, . Sheridan, A. K., Ngamukot, P., Evans, S. A. G., Wilkinson, J. S., & Bartlett, P. N. (2003). Simultaneous surface plasmon resonance and electrochemical investigations of alkane thiol monolayers on a gold electrode. Paper presented at Royal Society of Chemistry: Electrochem 03, . Abanulo, J. C., Harris, R. D., Bartlett, P. N., & Wilkinson, J. S. (2000). Underpotential deposition of a copper monolayer on a gold film sensed by integrated optical surface plasmon resonance. Paper presented at OFS 2000, .